Four months have passed since the launch of iPhone 7 and iPhone 7 Plus, however there are speculations and rumors of the upcoming iPhone 8 in 2017 have already gone viral. While the iPhone 7 and iPhone 7 Plus were a huge improvement from their predecessors, especially in terms of storage capacity, the new iPhones failed to live up to its expectations mainly due to high pricing and the 4.7-inch display of the iPhone 7. And while no official announcement has been made by Apple Inc in regards to iPhone 8, speculations are already out that the US tech giant will launch a new iPhone in 2017, as it does almost every year in September. So, what could this new iPhone 8 look like? Well we are at stake at this point. Let's take a look at some features of the speculations and rumors that have been going the round. 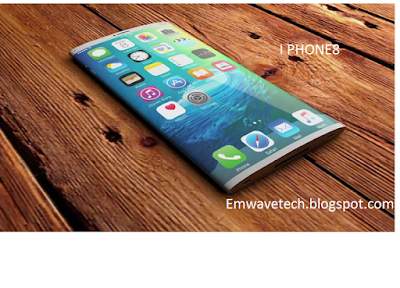 * iPhone 8 is likely to have an edge-to-edge OLED screen. * Very likely that it will have a fingerprint sensor on the display instead of home button. * The screen could be made plastic and not glass. * The screen resolution could be higher than Quad HD which came with the iPhone 7. * Wireless charging is on the cards. * The new iPhone may well have an A-11 processor. * After the dark black variant of iPhone 7, Apple could try out with the Red colour this time. 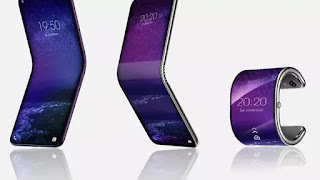 * An bezel-less design is also expected for the new iPhone. While we have given you the rumors of the iPhone 8, it is only the company, Apple Inc, that can confirm and give us the full details only when it launches the device in 2017.